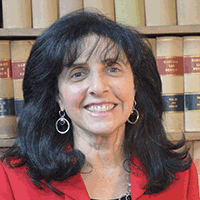 Sharon E. Goldsmith joined PBRC in 1990 as its founding director. Sharon manages the overall operation of PBRC, including strategic planning, media relations, program development, financial management, human resources, board development, project incubation, and leadership. She also works closely with the Court of Appeals on its Standing Committee on Pro Bono Legal Services as well as with local pro bono committees and legal services providers to ensure the most effective and coordinated system of pro bono delivery exists statewide. 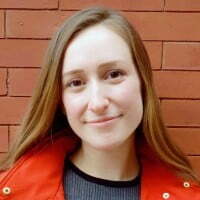 Annie Brinkmann Speedie joined PBRC in 2011 and serves as the Director of Programming. Annie oversees PBRC’s extensive volunteer attorney recruitment, training, and support activities, and supervises PBRC’s Pro Bono Projects in the areas of foreclosure and tax sale prevention, consumer protection, family mediation, and assistance to unaccompanied children. 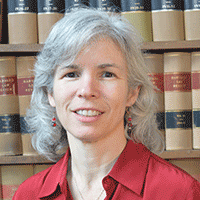 She also manages the Litigation Fund, contributes to PBRC’s grant proposals and reporting requirements, researches policy, and provides support to the Pro Bono Coordinating Council. Jennifer Clark joined PBRC in 2018 and serves as a Staff Attorney for the Tenant Volunteer Lawyer of the Day Program. Jennifer is a graduate of The University of Maryland School of Law. She previously worked as a real estate agent as well as a mortgage modification manager for distressed homeowners. Just before joining PBRC, Jennifer successfully resolved a multitude of cases involving personal injury, consumer law and civil cases as a solo practitioner. Sydney joined PBRC in 2016 and served as the Home Preservation Project Attorney. Sydney is responsible for assisting with recruitment, training, and mentoring of volunteer attorneys for Estate Planning Clinics, Foreclosure Clinics, and the Prince George’s County-based Tax Sale Prevention Project. Sydney now coordinates brief advice clinics in Baltimore City and Prince George’s County for low-income Marylanders in court, providing brief advice for a variety of consumer issues. Dean Fleyzor joined PBRC in 2016 and serves as the Tenant Volunteer Lawyer of the Day (TVLD) Program Manager. In this role, Dean recruits and coordinates training for volunteer attorneys who PBRC engages to provide one-on-one consultations and limited scope representation to tenants in Baltimore City Rent Court. Dean oversees the in-court legal services provided through the TVLD Program, which helps tenants understand their legal rights, assert applicable defenses, and connect with available resources for additional help in their cases. Caitlin joined PBRC in 2017 and serves as its Project Coordinator. In her role, she helps track grants, processes requests through our Litigation Fund, provides logistical support for the Consumer Protection Project, and assists the Tenant Volunteer Lawyer of the Day and Unaccompanied Children Pro Bono Projects. 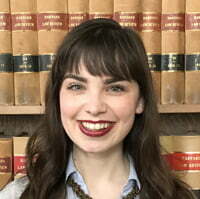 Elizabeth Grove joined PBRC in 2013 and serves as Sharon E. Goldsmith’s Executive Assistant. Elizabeth coordinates meetings and conference calls, manages communications, organizes files and record-keeping, responds to general inquiries, tracks donations, and assists with special events. She also works with the Standing Committee and Pro Bono Liaisons, and helps ensure that attorneys meet reporting requirements. Elizabeth also provides support to the staff and Board of Directors. Margaret Henn joined PBRC in 2013 and serves as the Director of the Home Preservation Project. Margaret is responsible for recruitment, training, and mentoring of volunteer attorneys for the Foreclosure Prevention Pro Bono Project, the Tax Sale Prevention Project and Project Household, which stabilizes homeownership for Baltimore City seniors. Margaret is also responsible for the coordination of brief advice events to assist distressed homeowners, in the areas of foreclosure prevention, tax sale, utility bill delinquency and estate planning. Jaci Jones joined PBRC in 2015 and serves as the Marketing and Communications Coordinator. Jaci coordinates all marketing efforts at PBRC for our events, trainings, and other activities. She also handles creating all graphic design, social media (Facebook, Instagram, Twitter), CMS & SEO efforts, advertisements/articles for the press, and branding for PBRC. Shelly joined PBRC in 2017 and serves as a staff attorney for the Home Preservation Project. Shelly is responsible for community education, support to Baltimore City’s Project Household, and assisting with recruitment, training, and mentoring of volunteer attorneys who participate at estate planning clinics, foreclosure prevention clinics, and tax sale prevention clinics. Shelly also supports the Courts of Appeals Standing Committee on Pro Bono Legal Services and the State’s local pro bono committees in promoting and delivering pro bono legal services. 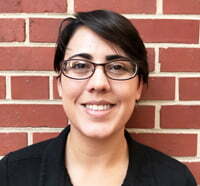 Monica Larsen joined PBRC in 2018 as the Maryland Immigrant Legal Assistance Project Paralegal. Monica is the Spanish-speaking point of contact at weekly legal clinics, conducts follow up with clients, serves as a resource for Marylanders looking for legal help, and manages the volunteer interpreters. 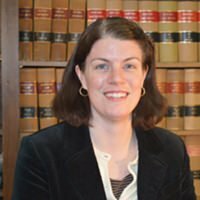 Monica Larsen se unió al PBRC en 2018 y es la asistente legal para el Proyecto de Asistencia Legal para Inmigrantes en Maryland. Monica es el punto de contacto para hispanohablantes en las clínicas legales, mantiene contacto con los clientes, sirve como un recurso para los residentes de Maryland que buscan ayuda legal y está a cargo del grupo de intérpretes. Dave joined PBRC in 2018. He leads PBRC’s efforts to engage with the bar and the public, develops and supports partnerships with legal and community groups, supervises attorney recruitment and training for the partnerships, and oversees the use of emerging technologies and platforms to support PBRC’s mission. He is also the site administrator for Maryland Free Legal Answers and the staff liaison for the Annual Pro Bono Service Awards. 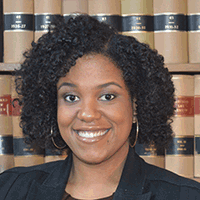 Kiah Pierre joined PBRC in 2009 and serves as the Training & Records Manager. Kiah coordinates pro bono trainings for lawyers, refers trained lawyers to legal service providers, and tracks the status of their pro bono activity. 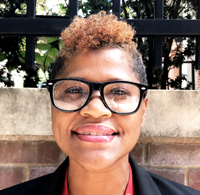 She also manages volunteer records, contributes to PBRC’s grant reporting requirements, and coordinates PBRC’s annual Maryland Partners for Justice Conference. Linzey Powers joined PBRC in 2017 and serves as the Development Director. Linzey oversees PBRC’s fundraising efforts, building relationships with individuals, corporations, and foundations who share our vision of access to justice for all. 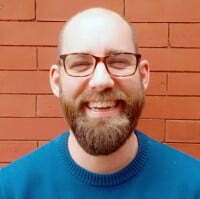 Cody joined PBRC in 2018 and serves as a Project Coordinator for the Home Preservation Project. Cody is responsible for organizing and acting as first point of client contact for the Home Preservation Project within Baltimore City which includes estate planning, utility bill, and tax sale clinics. He manages client documents, client registrations, and provides administrative and logistical support for all Project Household clinics in Baltimore City. KiAndre “Kiki” Rist joined PBRC in 2015 and serves as the Home Preservation Project Coordinator. Kiki acts as an organizer and first point of client contact for the Home Preservation Project which includes foreclosure, tax sale and Project Household activities. She manages client documents, client registrations, attorney registrations, and provides administrative and logistical support for Foreclosure Solution Workshops, Tax Prevention Clinics, and Project Household clinics. 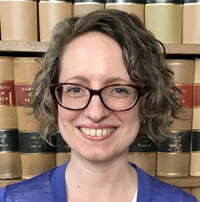 Margaret Rudmann joined PBRC in 2018 and serves as the Maryland Immigrant Legal Assistance Project Staff Attorney. Margaret Rudmann se unió al PBRC en 2018 y sirve como la Abogada delProyecto de Asistencia Legal para Inmigrantes en Maryland. Catherine "Cate" H. Scenna, Esq. Catherine “Cate” Scenna joined PBRC in 2015 and serves as the Maryland Immigrant Legal Assistance Project Manager. Cate is responsible for recruiting, training, and mentoring volunteer attorneys for the statewide Maryland Immigrant Legal Assistance Project. Cate is also responsible for coordinating the Project’s courthouse clinics where volunteer attorneys meet with unaccompanied children to identify legal arguments they can make in their deportation proceedings and provide information about obtaining pro bono representation. Catherine “Cate” Scenna se unió al PBRC en 2015 y sirve como la Directora del Proyecto de Asistencia Legal para Inmigrantes en Maryland. Cate es responsable de reclutar, entrenar y aconsejar a los abogados voluntarios que apoyan el Proyecto. Cate también es responsable de coordinar las clínicas de corte del Proyecto en las cuales abogados voluntarios se reúnen con menores no-acompañados para identificar argumentos legales que puedan utilizar en sus procedimientos de deportación y para proveer información acerca de cómo encontrar representación pro bono.